We come in contact with electromagnetic radiation every day and there are examples visible everywhere. These waves that do not require a medium for transmission and regulate our way of living in numerous ways. They help us communicate, cook, and even solve complex medical issues. From the radiation produced by your mobile phone to that derived from X-ray check-ups and airport control, electromagnetic waves seem to be ever-present in everyday life. It is for this reason that many people fear their toxic consequences on our health and lifestyle. In this article, we discuss the use of electromagnetic waves and the possible side effects of exposure to EMF rays. Let’s start with the most visible type of electromagnetic radiation: visible light waves. This type of radiation derives from what our eyes perceive as a clear, observable field of view. We receive EM radiation as information over various wavelengths and frequencies through waves or particles, which ultimately form the electromagnetic spectrum. Other forms of visible light waves come from artificial illumination and photography devices. An excellent example of light waves radiation that you can see is the light from the screen that you look at while reading this information. One of its most important properties is color, which is also an inherent feature of the human eye. Objects do not have color, but the light that they reflect pass the filter of “cones” in our eyes, which are cells sensitive to the EM spectrum, and which transform white light into color. The effects of visible light radiation vary according to their range and exposure. On one hand, visible light waves are responsible for life on earth, as they boost natural processes like photosynthesis. On the other hand, they can cause photodegradation and thermal damage. In humans, light waves ensure proper biological functioning and stable mental health. In fact, reduced exposure to natural light prevents the synthesis of neurotransmitters and may lead to depression, Alzheimer’s disease, and even brain damage. Otherwise, too much light wave radiation produces macular degeneration in your eyes and temporary skin conditions. Despite their societal benefits, radio waves may have harmful consequences on human health. The World Health Organization has often referred to radio waves radiation as possibly carcinogenic. Furthermore, intense exposure to radio waves may lead to leukemia and other health disorders. The jury is still out on whether radio waves radiation produces adverse side effects like cancer for sure. What we know so far is that our bodies take in these waves as if they were the antennas of radio sets. Long-term exposure increases thermal radiation and may trigger headaches, vision problems, sleep disruption and even memory loss. Radio waves are also the lowest frequencies in the electromagnetic spectrum, and stars, lightning, and sparks often produce them. However, our exposure to them is rare and inconsistent enough to avoid possible harmful effects. Another form of communication that uses radio waves is cell phone transmission. Whether you have a smartphone or an older non-intuitive model of mobile phone, you are bound to use it at least once per day. These gadgets are lifestyle commodity that more than 60% of the world population uses every day. In fact, it is currently estimated that the number of cell phone users exceeds 5 billion users globally. It has been suggested that the radiation produced by cell phones could lead to cancer and the formation of terminal brain tumors. Nevertheless, the medical studies conducted on this matter have not produced enough evidence to support the claim carcinogenic effects of mobile phone technologies. The only palpable effect of radiofrequency is heating. You might notice a slight thermal reaction of your skin and ears every time you speak on your cell phone for more than 20 minutes. This harmless side effect has led some to believe that regular mobile phone use can lead to cancer through this thermal effect. However, since radio waves emitted by smartphones are a form of non-ionizing radiation, similar to radio antennas, there is a minimal risk of causing adverse health consequences similar to those produced by x-rays or radon. The amount of radiation absorbed by the human body from mobile phones and similar devices is measured through a unit called SAR or Specific Absorption Rate (check my article on Specific Absorption Rate). The FCC urges manufacturers to refrain from producing cell phones that surpass 1.60 watts per kilogram of body weight, which is a SAR with a low risk of harmful radiation. Fortunately, most of the smartphones produced nowadays are way below this safety line. WiFi is one of the most used technologies in everyday life. Whether you have a wireless router at home or you use the one at work, you are bound to connect to speedy wireless internet almost every day of the week. Wireless routers are also present in cafes, restaurants, and libraries. Even public open spaces like parks, beaches and concert arenas employ this technology. Studies have shown that wireless internet might produce harmful side effects for human health. Read my related article on wifi radiation. The fact that most people are exposed to this technology 24/7, and that there is no physical barrier to stop it makes wifi radiation potentially dangerous. However, this has been argued against. The same goes for Bluetooth radio waves that also form a frequent mode of communication and device-pairing technology. WiFi routers and Bluetooth terminals have a risk of producing harmful side effects on your health. Extensive exposure to wifi and bluetooth radiation waves emitted by these technologies can also cause mild headaches, sleep disruption and slight dizziness. 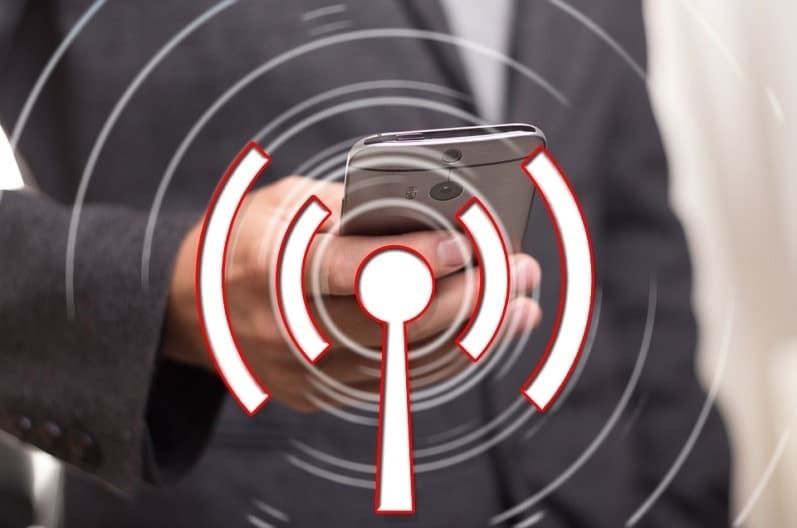 If you want to ensure higher protection for you and your family against potential dangers of WiFi and Bluetooth technologies, you can employ several practices in your everyday life. Some of them include disconnecting the WiFi router at night and spend more time outside in open, natural areas. Television radiation has been a constant part of our everyday lives since the 1950s. It is one of the oldest forms of human-made radiation, and the rise in deaths related to cancer and tumors has been widely related to it for many years now. Although several clinical studies suggest that there is a minimal risk that TV radiation can produce terminal diseases, some people are still considering it a harmful presence in their homes. The theory that you can absorb harmful radiation from your TV is generated by the possibility that old television sets may release X-ray waves. The cathode ray tube (CRT) technology had a minimal chance of producing X-rays. This phenomenon happened when electrons traveling at high voltage would hit an obstacle in vacuum. Older generations were aware of this issue, which is why we people were often advised to keep a safe distance from their television sets. Nowadays, CRT technology is rarely used and redundant. Even households have adapted to modern safety circuits and regulated power supplies that turn TV harmful radiation into an implausible myth. Today’s TV sets and computer monitors use Liquid Crystal Displays (LCD) or Plasma displays, which are incapable of producing X-rays waves. Therefore, they do not represent a significant risk to your health. Again, as it is the case with most devices that emit radio waves, intense exposure may lead to migraines, restlessness, and dizziness. Microwaves are primarily used for cooking. Almost every household uses a microwave oven to heat or defrost food, and this device has become a common kitchen appliance all over the world since the 1970s. When you heat your meal in a microwave oven, the water molecules absorb microwave radiation and generate a thermal increase that also kills any present bacteria. Since the only form of energy transmitted to your food is heat, there is a minimal risk of contamination or radiation that can affect your health. The only way that microwaves can hurt you is by exposing yourself to high levels, which may cause painful burns. The parts of your body that are extremely sensitive to microwaves are your eyes and testes since their low blood circulation cannot disperse the excess heat quick enough to prevent injury. Your best safety precaution against microwaves is to avoid using an oven that has a damaged door, and which does not ensure optimal enclosure. Microwave radiation is also used in communication and satellite transmissions. Because they have a low frequency and long wavelength, they can penetrate clouds, smoke and rain easier than visible light waves. This is one of the main reasons why microwaves are used to transmit signals into space orbit. Read my article on microwave radiation. Infrared waves are set somewhere between visible light waves and microwaves. Their counterparts, the “far infrared waves” are generally invisible to the human eye, and they give off more heat. Infrared radiation is only harmful to the human body when it exceeds wavelengths longer than 750nm. From this point on, they can produce severe damage to your eyes. Glass manufacturers and iron-welders are susceptible to cataracts in their eyes due to the thermal effect produced by intense infrared waves. Again, the distance between you and the source of heavy infrared radiation is crucial. This is the reason why workers use high levels of protection, while bystanders are required to wear plastic goggles or simply look away. Long-term exposure to infrared radiation can produce cellular degeneration and premature skin aging. I have an article on low emf portable infrared saunas which you may like to check out. We receive a generous amount of ultraviolet (UV) light from the sun on a daily basis. It has a wavelength that is shorter than visible light, and it can penetrate soft tissue with ease. If you expose yourself to strong ultraviolet radiation you risk sunburns, eye cataracts, cellular damage and even skin cancer. We are protected against the sun’s UV rays by the ozone layer, but during summer heat waves we are exposed to intense radiation. Ultraviolet radiation has been the subject of intense clinical research. Several studies have concluded that prolonged exposure to UV rays can increase the risk of developing skin melanoma and premature aging. The first signs of too much UV radiation are wrinkles, dry skin, spots, moles, and freckles. The damage produced by ultraviolet rays builds up during an entire lifetime, and early symptoms of damaged epidermis may only be visible at a later date. Mild UV rays are also generated by security marking devices and fluorescent lamps that are used to detect forged bank notes. Additionally, powerful telescopes use UV radiation to observe faraway stars and galaxies. In the electromagnetic spectrum, the UV rays are followed by shorter wavelength radiation like X-ray waves, which are also known as ionization radiation. This type of waves is dangerous for human health, especially when you are overly exposed to it. X-rays can easily penetrate soft tissue in the human body, which is why they are used in medical procedures to read the condition of bones. During this process, the level of radiation is kept at a minimum level to prevent cell degeneration and possible mutations. Clinical studies have revealed that prolonged exposure to X-ray radiation translates into a high risk of developing cancer. Even mild exposure to X-rays may produce harmful effects on your health. For example, if you undergo X-ray treatments on a regular basis, you risk suffering from strong headaches, joint aches, skin damage and slow sperm motility. Additional to medical purposes, X-rays are also used for observing the internal structure of objects that are difficult to see with an open eye. Airport security scanners also use them to ensure that their safety regulations are respected by passengers. Gamma rays have an even shorter wavelength than X-rays and the last ones in the electromagnetic spectrum. They use ionizing radiation to penetrate any type of material. They also create charged radicals to ease their traveling, which some consider being the cause for DNA mutations during cancer treatments that involve their use. Their cell-penetrating power is the reason why gamma rays are sometimes used to kill cancer cells. Some clinical tests revealed that the destructive force produced by gamma radiation can alternatively repair genetic material. Studies suggest that this healing effect is possible through long-term exposure to small doses of gamma rays than by subjecting a patient to one-time treatments with high doses. Additionally, gamma rays are used to sterilize foods and medical equipment. Scientists have observed the formation of Gamma rays during powerful nuclear explosions and cosmically at the formation of supernovas. Electromagnetic radiation may be harmful to your health when you expose yourself to unsafe amounts coming from disruptive sources. Everyday devices like mobile phones, TV sets, microwave ovens and WiFi routers are virtually safe and have a minimal risk of damaging your well-being. It is crucial to remember that today’s technology is capable of creating safe products in terms of radiation. Only extensive use over a long period can create minor ailments like headaches, dizziness and sleep disruption. On the other hand, prolonged exposure to x-rays, gamma rays and UV radiation from the sun can seriously damage your health. Skin aging, cancer, and terminal tumors are just a few of the many illnesses that you can get from ionizing radiation.